Statement rings are on-trend but have always been a key heirloom in family collections. 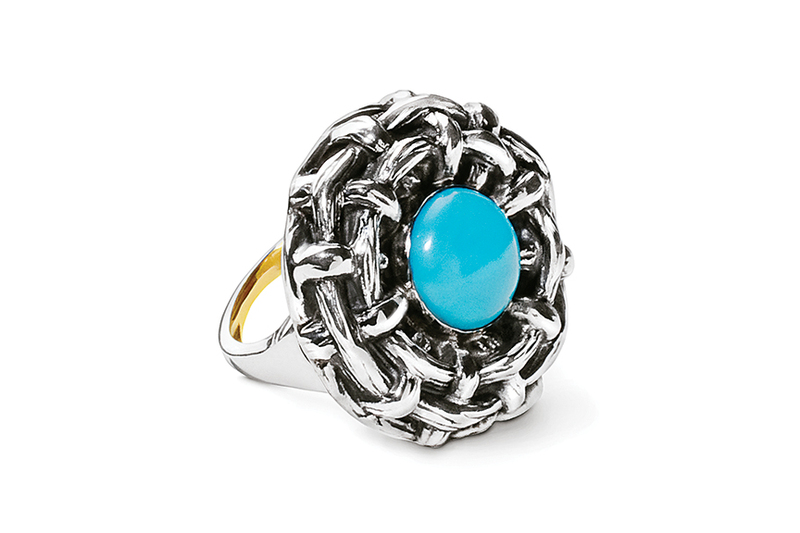 The pretty round nest of sterling bamboo showcases a perfect sleeping beauty natural turquoise. Note the detail on each side of the ring as well!